You may note that I am re-posting a blog from last summer. It was written as I doggedly moved ahead after my soulmate’s death, despite my pain and grieving. Today, I revisit the joy of hope because I know that each of us are responsible for creating our own inner peace and caring for ourselves. Today, I am taking a break from my book’s very successful first marketing run. Now, it is time to step back and heal. I will be taking a health break to have some treatment, which I will follow-up by taking a vacation to spend time with my grandchildren. I am as enthused as ever about making my book, WHAT MY LEFT HAND IS DOING: Lessons from a Grassroots Activist, available to you. WHAT MY LEFT HAND WAS DOING: Lessons from a Grassroots Activist by Joann Castle is available for order on line at Amazon.com, and Barnes & Noble.com. Also available in Detroit at SOURCE Booksellers, Pages Bookshop and Bookbeat in Oak Park. In Seattle, at Third Place Books, Elliott Bay Book Company and Left Bank Books on Pike Street, across from Pike Place Market. Ask your local book seller to order it from Ingram. As I opened my eyes this morning, I reminded myself that 2017, the worst year of my life, is over. The year that I lost my husband, my lover and my best friend has past. It is time for me to create a new life, a fulfilling life as a tribute to the love we shared. “Relax for a bit,” was his response. “It’s going to be okay. Get some sleep and I will help you in the morning.” But morning wasn’t going to come for Mike. During the night, he went to a better place, free from pain and the ravages of heart failure. Pushing myself to continue the work became both joyful, as I indulged in the story of our two lives together, and a curse because all I wanted to do was to grieve. Yet, timelines and what I owed the production team demanded that I work and his voice was prodding me on. What could I do but finish? I am filled with hope in this new year that has been given to me. Soon, Mike’s dream that my book will be available to others will become a reality. So, piece by piece, I doggedly finish the final tasks to upload my book to the printer. Each step I complete is a tribute to our love and to all that Mike taught me about dignity and humanity. I have glimpsed the heart and soul of the struggle of an African-American man who was born and raised on a Mississippi sharecropper’s plantation and rose to his heights in the powerful black worker’s movement arising in Detroit during the late 60s and early 70s. My life with Mike has changed me and my conception of the world around me. I hope in some way, there between the pages of my book, that I have conveyed the depth of my new understanding in a way that is palatable and inspiring to my readers. Soon, my book saga will end and you will find it on local bookstore shelves or on the pages of Amazon. Please celebrate with me and share in my new beginnings. THANK YOU FOR READING. 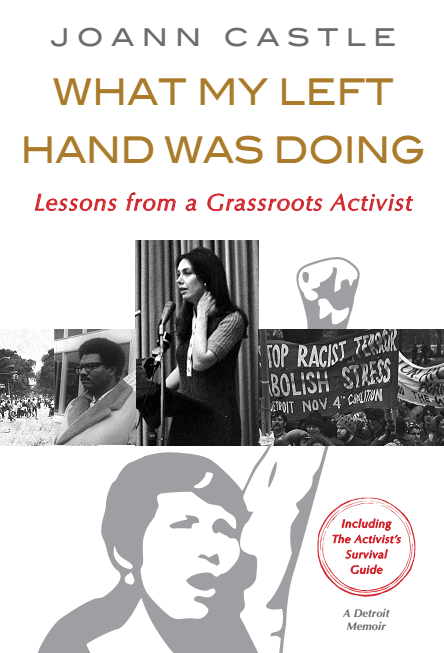 WHAT MY LEFT HAND WAS DOING: LESSONS FROM A GRASSROOTS ACTIVIST by Joann Castle, is now published. Do you have your copy? IN THE FALL OF 2018, I will be available for book talks, book clubs and promotional activities. I already have some things scheduled which I will share with you when I return. In the meantime, take your people power to the polls. ” VOTE IN YOUR PRIMARIES. We can make change from the ground up. 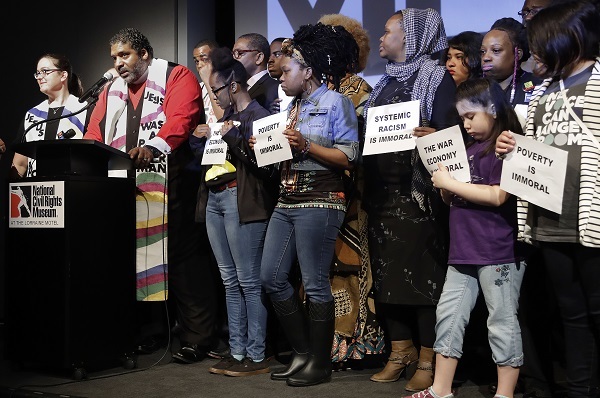 This entry was posted in Uncategorized and tagged #Black Lives Matter, #blogging, #bookmarketing, #Booksgosocial, #civil rights, #detroit, #mommy blogs, #Monday Bloggers, #motownwriters, #resist, #Sunday Bloggers, #sylviahubbard, #womensmarch, #writers, A Black Revolutionary's Life in Labor: Black Workers Power in Detroit, Esssence of Motown, march2justice, Mothers, Mothers Against Injustice, Social Justice, writing on July 8, 2018 by joanncastle.